See our AEIOU children’s party entertainers reviews in London from our clients that have offered their opinions in our forum about the entertainment, children’s parties and birthday parties we have provided. In their reviews they have also critiqued our entertainers, magicians, clowns. I wanted to thank you for the lovely entertainer. Kate was great with the children and also very helpful and flexible. 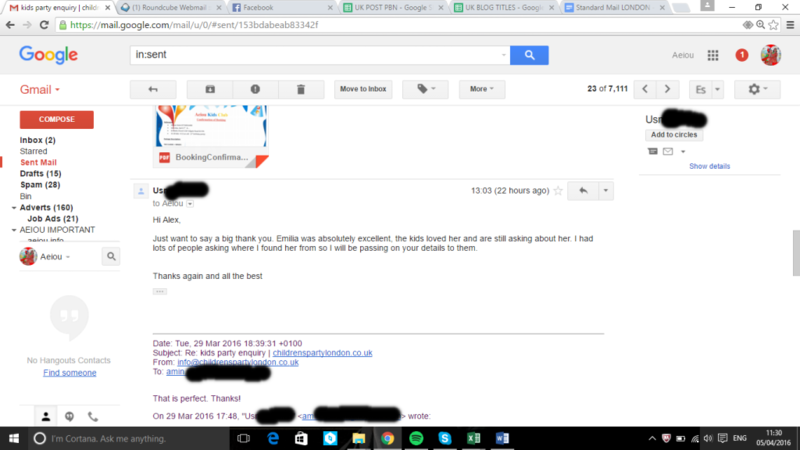 She is great and I am very pleased with the overall service you have provided. We wouldn’t have coped without him. Thank you very much the entertainer was sweet and lovely and the kids loved her! Really made our little party awesome!! Alex, Thank you for the entertainer on Saturday, the event went very well. I didn’t get a chance to say goodbye to her. Could you please pass on our thanks and let her know the feedback was excellent from everyone. Hope to set up more events in the future with you. Just Wanted to thank you for the excellent entertainer today. Graham was absolutely amazing. Can’t tell you enough how fantastic he was. Everyone commented on how great he was with the children.Again thank you and a massive thank you to Graham. Thank you very much for your service last Saturday. Kids had a lot of fun. All the best. Sorry I should have replied sooner. Ana was brilliant. The children loved her. She was enthusiastic, engaging and my daughter had the best time. Thank you. Tomer was great on Sunday and all our little guests had so much fun!!!! Subject: Re: Party this weekend! 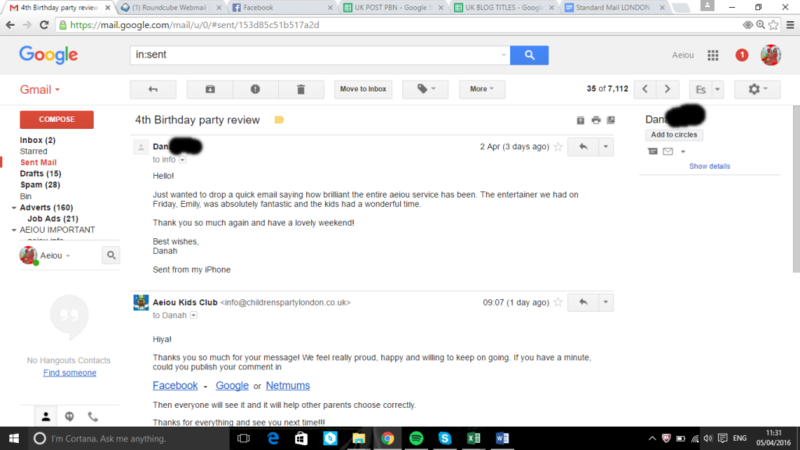 Just a quick word to tell you that the party yesterday was a great success thanks to KATE she was fantastic!!! Thank you very much for that party Anna was great! She is super cool with children my daughter had a wonderful day! I appreciate your energy and love for children! The party was very successful once it got running and I wanted to thank the 2 entertainers for the fun filled 2 hrs. Yes the party went very well. The entertainers arrived 15 mins before time which gave them ample time to setup. They both had a lot of energy till the end and the kids enjoyed thoroughly. Thanks a lot. What can i say. Leigh was perfect, excellent, faboulous. I really did not expect that at all. He was more then what was required. The kids absolutely loved it, not to mention the adults. He was very accomodating, and very flexible, which I really appreciate. I thank you again, and please pass my thanks to Leigh as well. Another year to his 2nd b day, so will prob need you again. I have also passed your details to other guests at the party. Just wanted to say how great Joe was at the party today. He had the kids fully engaged and was really positive energy and funny- even had parents laughing. Please let him know we really appreciate his effort- not all entertainers are as good as him. 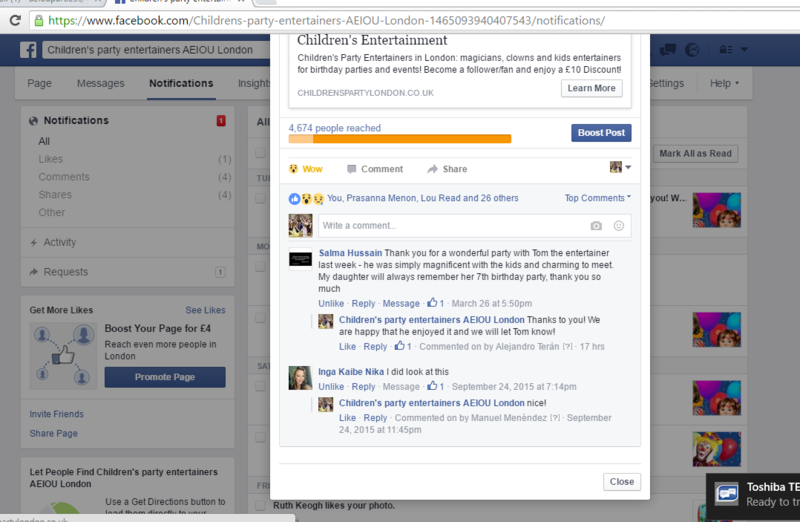 Thank you so much for arranging for Alex and Tom coming to my party yesterday after such a short notice. They have been absolutely fantastic. All went well. I’ll definitely use your entertainment services for my next party and not coming back to my regular entertainer.